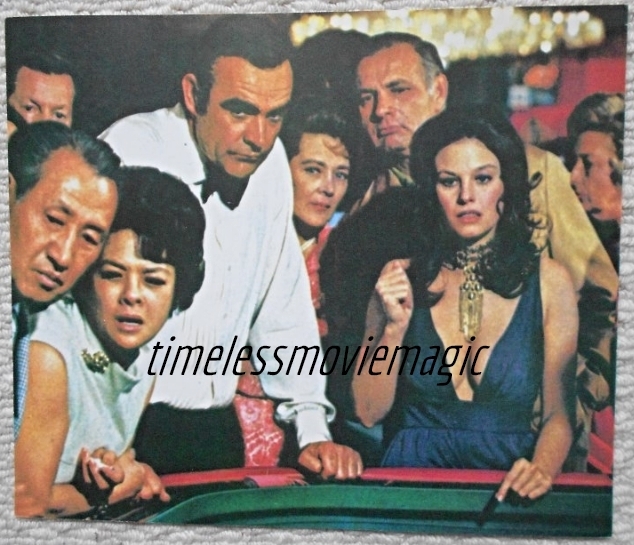 1971 Original press photo from the James Bond film 'Diamonds are Forever' starring Sean Connery as 007. This still is in Fine- condition and measures 8.75" x 10.5". The still has the tiniest corner crease which is hardly noticeable.